Buying yourself a fitness tracker and promising you're going to live a more healthy lifestyle is one thing; actually sticking to a new regime for months and years is quite another. If you're not careful, your new wearable can get forgotten at the bottom of a drawer. Don't lose heart though, because we're here to make sure that doesn't happen: we've got five simple tips and bits of advice that can add a well-timed boost to your flagging motivation and willpower, and they work for any kind of tracker too. 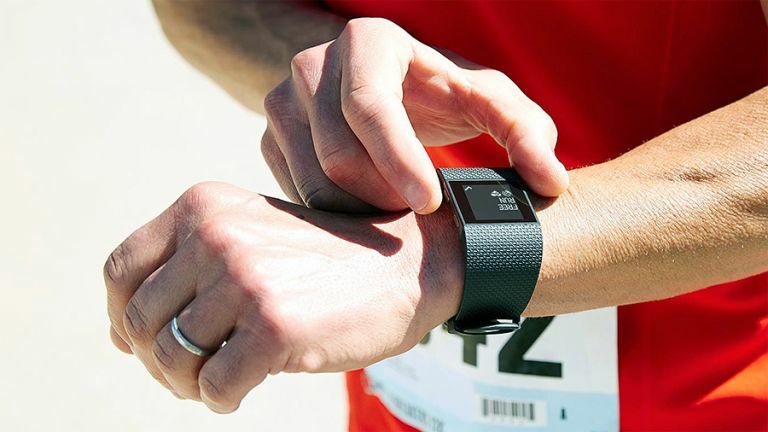 All modern-day fitness trackers come with software and apps to help you check how well you're doing, so spend as much time as you can afford looking at the charts and stats produced. If you can spot a healthy trend in the amount of activity you're doing, for example, then that's going to push you on to go further and keep the improvement going. The apps available to you will depend on the make and model of tracker you've bought but a lot of them work with Apple Health and Google Fit (or both) which gives you another portal to do your data tracking through. Just make sure when the jogging (or football, swimming or squash) has finished, you make time to check up on your progress as well. If you're not too happy with the apps bundled with your fitness tracker of choice then you can use a service like IFTTT (If This Then That) to export the data somewhere else. IFTTT supports data generated by Jawbone, Fitbit and Misfit devices, among others, and exports can be triggered by particular events too (meeting your daily step goal for example). You could export your Saturday morning race times to a Google Sheet perhaps, and then create a chart from the stats; or you could plot the days when you hit your targets to a specific notebook in Evernote. All kinds of apps and services are supported by IFTTT and it's a fantastic way of doing more with the data produced by your wearable fitness tracker. Exercising with family and friends has always been one of the best ways to stay motivated, whether or not you've got a fitness tracker or any other bit of gadgetry to your name. The majority of the tracking apps out there, from Strava to Runkeeper, come with some kind of social component that lets you connect up friends as you would on Twitter or Facebook. In theory, if you've got other people to compete with or at least go running with, you should stick to the task more strictly than you would on your own. Even if you don't want to use the social features inside your tracker's default app, there are plenty of other services out there that will let you connect up with your friends and set challenges for each other. You won't find many people who want to see non-stop running and workout updates in their social network feeds, but there's nothing wrong with celebrating the occasional success every now and again - find out what social media sharing features your fitness tracker's apps have got and make use of them to post highlights of your activity. IFTTT can be useful again here as it plugs in neatly to Facebook and Twitter, but there are lots of options open to you. Not only can it give you some encouragement to plug on with your fitness tracking endeavours, but it also means your friends and family are more likely to check up on your progress - and you don't want to let them down do you? There's no denying that staying fit can be a slog at times - especially in the cold and dark winter months - so remember to treat yourself for sticking with your new regime and hitting your goals, whatever they might be. If you've got something to look forward to then it can make all the difference when you're trying to push yourself once more around the park. Pick something you know you're going to enjoy to reward yourself for your fitness exploits: anything from a trip to the local cinema to an upgrade to a new fitness tracker with extra features. You'll have to stay disciplined for this though - absolutely no ice cream on the weekends if you haven't hit your daily target of 5,000 steps from Monday through Friday.